Who is looking around the corner? This small caterpillar by Naef brings back memories of the well known story "The very hungry Caterpillar". The storybook by Eric Carle is still popular today - despite the doubtful honesty of George W. Bush, appointing it as his favorite book. This also applies to the small caterpillar Juba, that continues to make children's hearts beat faster, with its squirmy movement and colourful appearance. 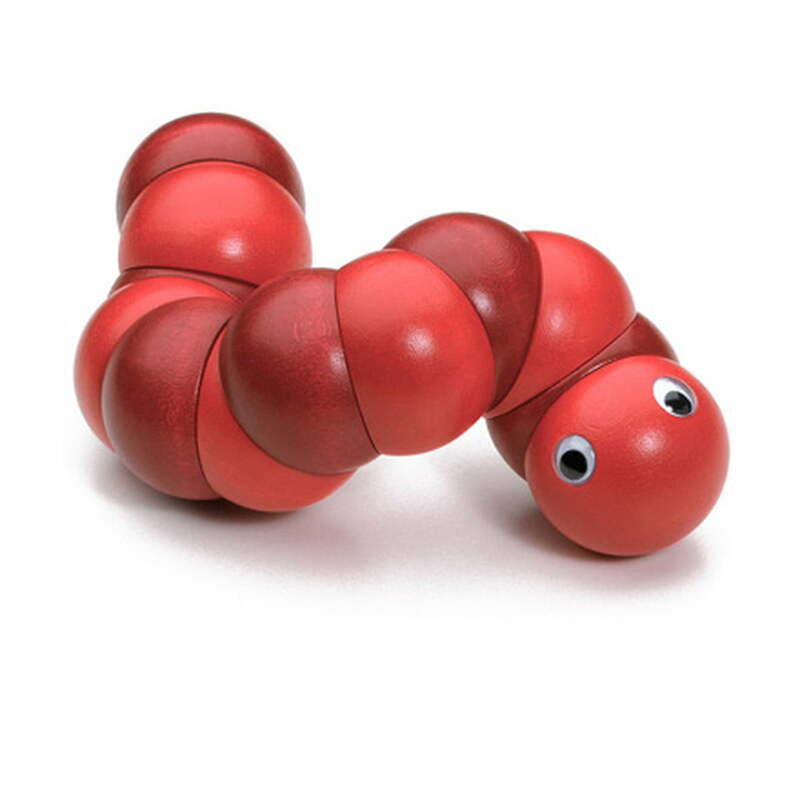 Thanks to its flexible rubber joint connection, Juba can be twisted and turned into different positions, delighting babies, children and the young at heart. Only high-quality wood from environmentally-friendly plantations in Europe and paints of the highest quality are used for all Naef toys. The different products offer joy and pleasure and stimulate creativity and imagination for young and old. I really love this wooden "toy", it's so fun and versatile and it gives a nice pop of color to the room. I use it as a fun addition to my plants, it adds a nice hint of humor. It is suitable woody toy for the infant below 1yr.